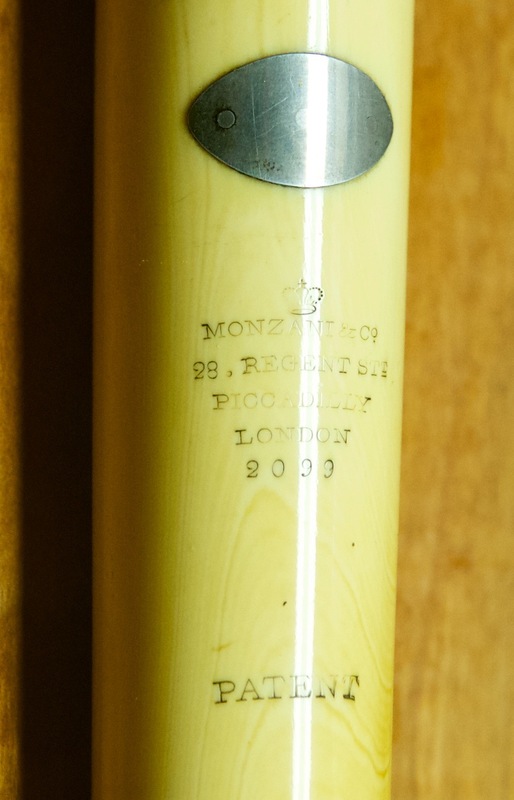 Instrument: Monzani #2099 - made in 1822. 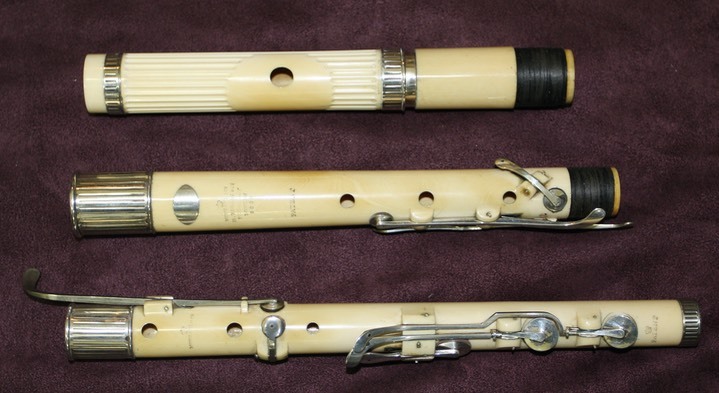 Fine 9-key C flute, ivory with silver rings and keys, in original case. Notes: This flute came to me as a pair in an original case (probably from Monzani) paired with an crystal 8-key flute by Laurent. 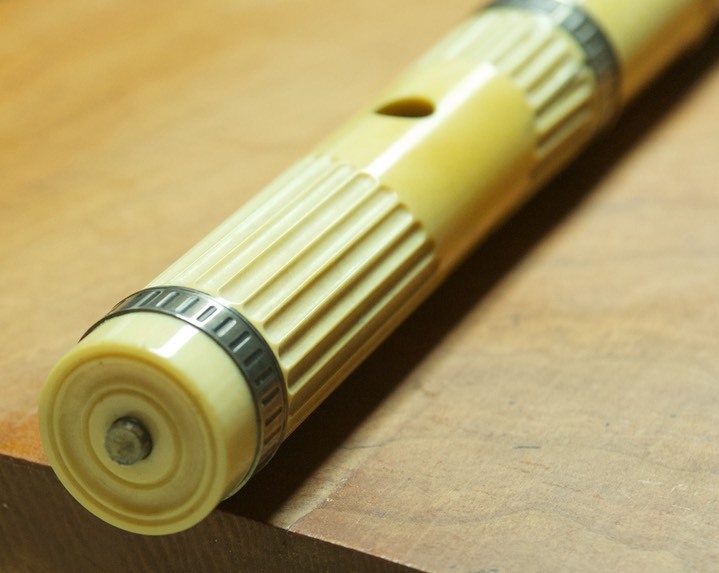 It is compelling to imagine that Monzani may have made the ivory flute to pair with the Laurent and the flutes will work when played together.